Gurpareet first came to public prominence in 2009, when he created the ‘world’s healthiest meal’ – a simple Chicken Curry with Blueberries and Goji Berry Pilau – which contained the antioxidant-equivalent of 23 bunches of grapes. His distinctive culinary concept acknowledges the USDA finding that nearly ¼ of the top antioxidant-rich foods available to us are, in fact, spices. He combines these spices in abundance with nutrient-dense vegetables, fruits, low-fat proteins and nuts – widely known as superfoods – to create Indian Superfood, a collection of the world’s most antioxidising recipes. Gurpareet has been featured in nearly every major newspaper in the UK and India, in addition to receiving coverage from the ABC, BBC & CNN. His celebrity fans include Their Royal Highnesses the Duke and Duchess of Gloucester, Madonna, Gwyneth Paltrow, Goldie Hawn, Dame Vivienne Westwood, Chris Evans, Sanjeev Bhaskar OBE, Meera Syal MBE, as well, as celebrity chefs Ching-He Huang, Vicky Bhogal and Mark Diacono. Gurpareet has worked as a chef for the Mövenpick Hotel, and is a nutritionist. He is based in London, and is aged 34. Gurpareet now co-presents his monthly cookery segment “Cooking The Books with Gurpareet Bains” on BBC Radio London with Sunny and Shay. 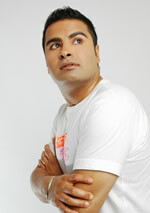 He is also a regular contributor to BBC Radio 2 & BBC Asian Network. His latest accolade is winning the 2011 English Curry Awards, Chef of the Year title. I first came into contact with Andrew Lownie in 2005, when I e-mailed him in relation to writing a book about Indian cookery. I received a swift and frank response from Andrew, who replied, ‘There are over 500 books on Indian cooking on Amazon. 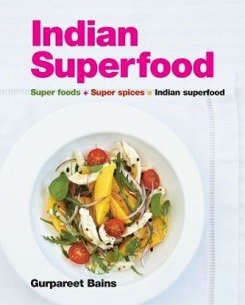 What is your unique selling point?’ Evidently, Andrew’s observation sank deep into my consciousness, and finally, and nearly three years later, my book about Indian cookery has metamorphosed into Indian Superfood. Dealings with Andrew have always been clear as crystal and this is why I choose to work with him. ‘Speed and transparency’ are the two words which, for me, best describe my personal experience of Andrew Lownie. 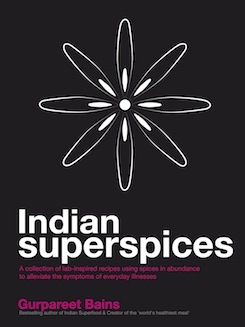 Gurpareet Bains’s health-focused recipe book Indian Superspices, advocated by fans including Goldie Hawn and Gwyneth Paltrow, is today featured in the Mail on Sunday.